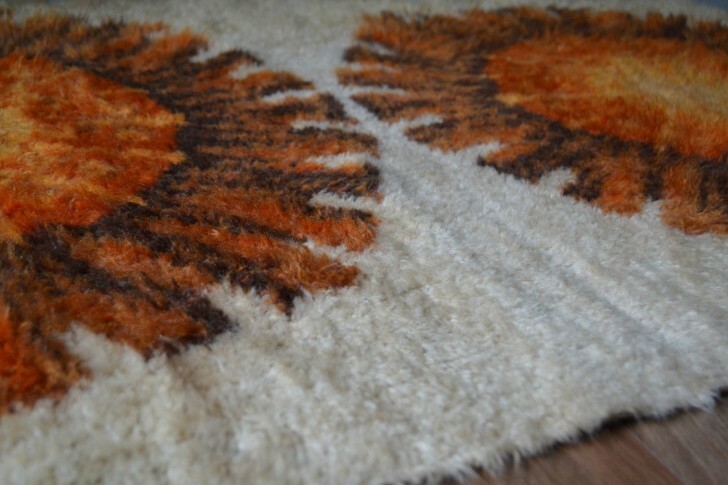 Pure wool rya rug from Axminster’s ‘Norsk’ range. Long thin piled wool with geometric patterns. Dates to late 1960’s. 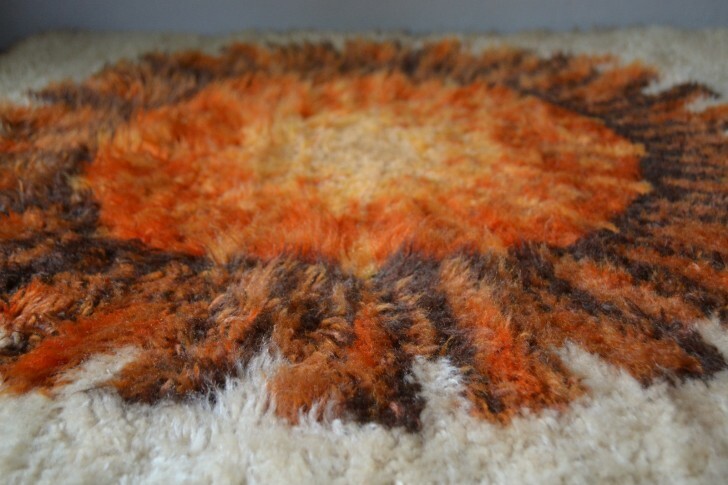 Although this shag pile rug has lost some of it’s shag over the last 50 years there are no holes and we couldn’t resist it! 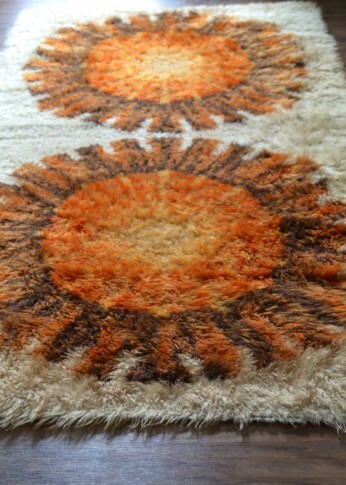 A chance to own an iconic rug and add some mid century cool with it’s vibrant sunburst design at a great price that reflects the vintage condition.